Swift - Summer visitor from South Africa. They arrive around April or May and make their way back from August to September. Swifts spend most of their lives in the air, living on the insects they catch in their beaks. They drink and even sleep on the wing. 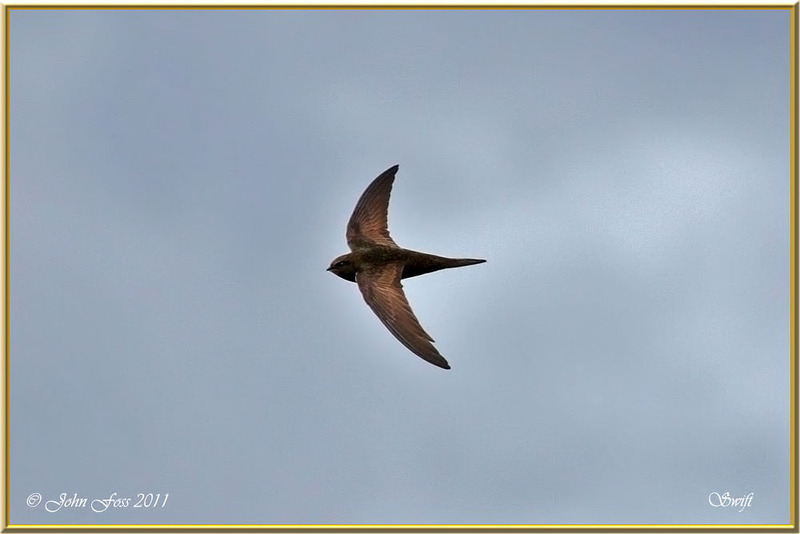 Swift by name and nature, it took me a while to catch this one in flight at Lough Annagh Co. Leitrim. 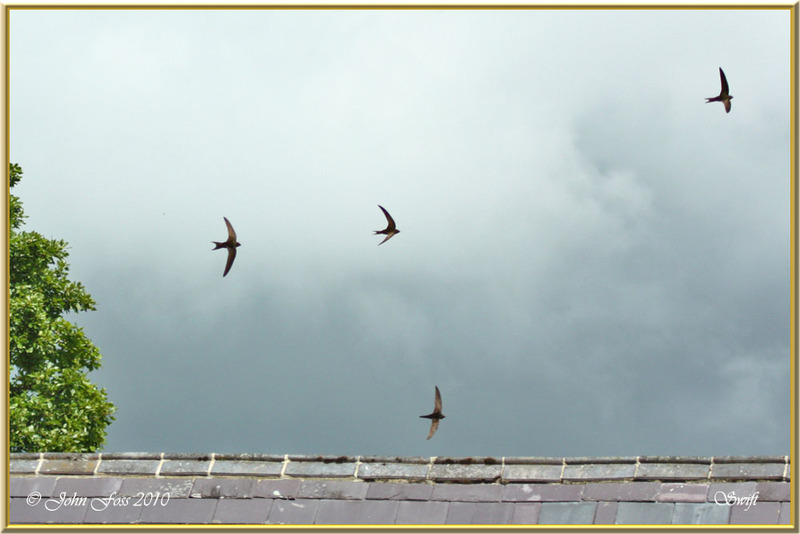 It is common to see Swifts in large screaming packs chasing insects at great speed like these at Castle Archdale Co. Fermanagh.